Classroom Response Systems, also know as "audience response system", have been used on UT Austin campus for almost 2o years. As of 2017, iClicker is the only system with a physical clicker. All of the other systems you may have heard of are web-based and can be accessed on mobile devices. The iClicker system is free for instructors. New iClicker remotes for students run about $50 from the COOP but students can purchase used remotes for as little as $10. They run on radio frequency so robust WIFI, or lack thereof, does not matter. No reoccurring subscription. Once students purchase a remote, it'll work for as many courses and years as they need it. Students cannot easily capture instructor's content such as quiz questions, reading comprehension questions, or other course materials. To learn how to get started with iClicker, download iClicker software, or view tutorials on how to set up your iClicker system, visit our iClicker Resource Center. Is there a product I can use to help students review course content throughout the semester? Cerego is a free, self-paced study aid for students that allows instructors to share existing course materials with their students or create their own. 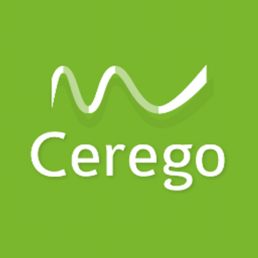 To get started with Cerego, visit their website.